Q-School hosted by Lang BBQ Smokers® and featuring instructors Bruce Mitchell, the Alligator Man from Swamp People, and members of the Lang BBQ Competition Team Darryl Strickland, team captain, and Matt Lee, owner of Smoke Risin BBQ Joint, will be teaching barbecue techniques in two classes this June. Chefs from those who are beginners to experienced, all competitors, and restaurant or catering chefs and culinary students and graduates, are invited to participate in Q-School classes on smoker cooking, Friday, June 17 or Saturday, June 18, from 8:00 a.m. to 4:00 p.m. at the Lang BBQ Smokers® Kitchen, 4649 Main Street, Hoboken, Georgia 31542 just 2 miles from the factory. 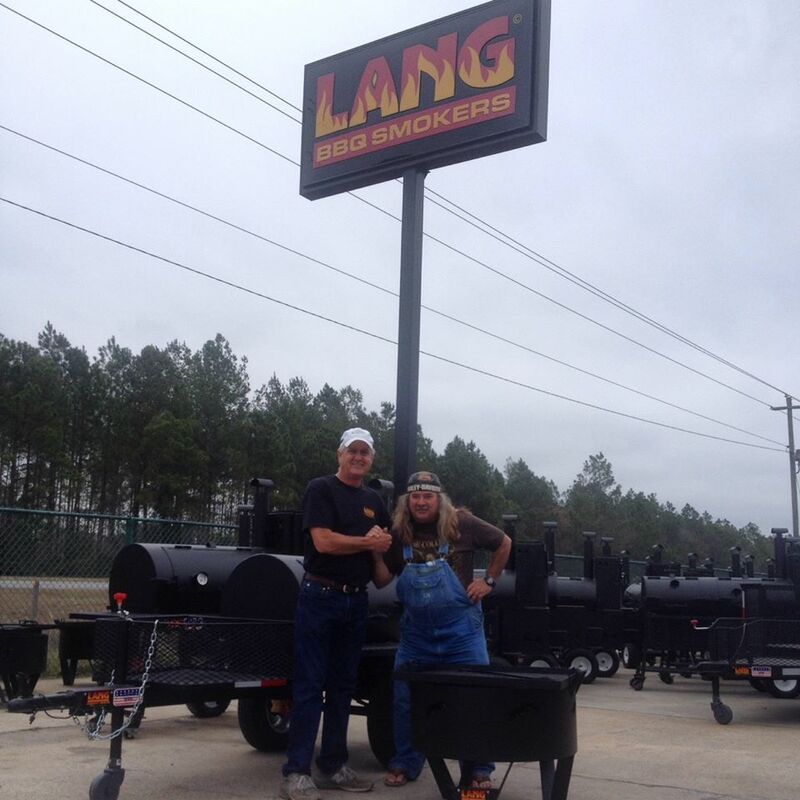 Q-School is being hosted by Lang BBQ Smokers®, featuring instructors Bruce Mitchell, the Alligator Man from the TV show Swamp People, and members of the Lang BBQ Competition Team Darryl Strickland, team captain, and Matt Lee, owner of Smoke Risin BBQ Joint. Q-School is the place where BBQ enthusiasts, seasoned barbecue competitors, culinary students and those considering opening a BBQ business can develop new talents, grilling skills, and professional expertise. Participants will learn how to prepare and select items to cook, carve and present food, season, and develop a flavor profile along with the tricks of grilling. The June 2016 classes will also include such new information as the techniques of hot fast cooking, and low and slow cooking as well as how to build BBQ competition presentation boxes for KCBS (Kansas City Barbeque Society) and FBA (Florida BBQ Assn.). Those who are purchasing a Lang BBQ Smokers® and picking it up directly from the factory in Nahunta, Georgia, can use it immediately in class during Q-School. Register for the smoker cooking classes online at http://www.LangBBQcookingClass.com or call the Lang BBQ Smokers® factory at 1-800-462-4629. The fee is $350.00 per class. Class size is limited. Lang BBQ Smokers® is the originator of what has become known as the reverse flow, off set-fire-box design. The smoker cooker models include designs for backyards, competition, and commercial units. The factory will also customize a unit to your needs. Smoker cookers come in five (5) model series. Some of the smoker cookers include charcoal grills. The “hybrids” are a single unit design with both a smoker cooker and a charcoal grill. You can see all the models at http://www.langbbqsmokers.com/smoker_cookers.html. The small models are typically used for backyards. Lang BBQ Smokers® hosts Q-School smoker cooker classes periodically throughout the year inviting BBQ chefs, pitmasters, and award-winning competitors to present classes.